If you have a passion for research and history then working on your own family history is very likely something you have already started. So why not turn your passion into a genealogy business? As you enter your retirement years one of the most valuable gifts you can pass down to the younger generations of your family is the history of your family. In fact, it is also a great hobby that can become an interesting business of researching other family histories. The days of spending hours upon hours in damp, dingy libraries or family attics digging for family history clues have given way to modern tools thanks to the internet. Starting a genealogy business is a lot easier than it sounds. 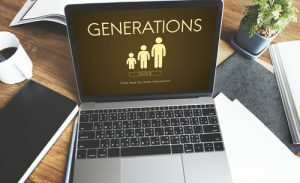 Speaking of the internet, you can become a professional genealogist just by taking an online course such as the 16-week one at Boston University, where there is 30-hours of weekly homework that paves the way to earning your Genealogical Research Certificate. There are also a total of six different levels of certification through the Board of Certification of Genealogists including levels specifically for record searchers (Certified Genealogical Record Specialist) and lineage experts (Certified American Lineage Specialist, Certified American Indian Lineage Specialist) plus expansions from research (Certified Genealogical Instructor, Certified Genealogical Lecturer). The internet plays a huge role in a genealogy business as there are many online communities, social networking sites, blogs and groups one can join where family history research ties everyone together. They are a great source of information and sharing. Once you develop a client base you may even wish to branch out and provide consultation service to the casual researcher looking for assistance with their family tree. If you get really good at it, your genealogy business could become a mixture of researching jobs for clients, consultation for professionals and speaking engagements for groups and conventions geared to family history research plus freelance writing on the subject for websites, blogs, magazines and other reference sources. But how popular is a genealogy business going to be? At the present time family tree research ranks second only to gardening as the favorite pastime of Americans. That’s a different kind of digging for different roots that is sweeping the nation with a renewed focus thanks to the creation of quicker and sometimes easier searching methods courtesy of your friendly neighborhood internet provider. The beautiful thing about researching a family history is that there is a great deal of historic value in the search. It can uncover some interesting and amazing facts about life in a different era and different part of the world. It can lead to famous people or famous events. It can also allow you to trace specific goals ranging from a marriage certificate to a full family branch that had become lost over time. The rewards are many where your research may end up bringing long lost relatives together or connecting someone to a historic event of significance through their family history. What makes this even more interesting a part-time employment opportunity is that by starting a genealogy business yourself you can be responsible for uncovering and discovering some fascinating facts about the people who hire your services. For a semi-retired hobby turned business, nothing beats doing something you enjoy and getting paid for it. Family history research could be that opportunity. To get started, visit: www.ancestry.com, www.familysearch.org and www.familytreemagazine.com. You can also find lots of resources by doing a Google search for “How to start a genealogy business.” Amazon.com has dozens of books about genealogy, including my favorite, “The 15 Habits of Highly Frugal Genealogists” which is filled with ways to save money on genealogy-related products and services.